After years of building a community of loyal users, fortifying the company brand, and discussing with internal stakeholders, it is finally time to put on a user conference. The challenge that many first-time SaaS user conference planners face is that they have no idea where to start. An event of this magnitude surely implies many moving parts and a need for a sound planning and execution strategy. To help with this process, this blog post will serve as a guide to user conferences and collection of best practices when putting together this type of event. And what better way to learn about planning a SaaS user conference than by speaking to those who’ve done it before? Collecting excerpts from the “How to Plan a SaaS Conference” webinar, this blog post compiles advice from three experienced event marketers who have created successful user conferences on behalf of their companies. 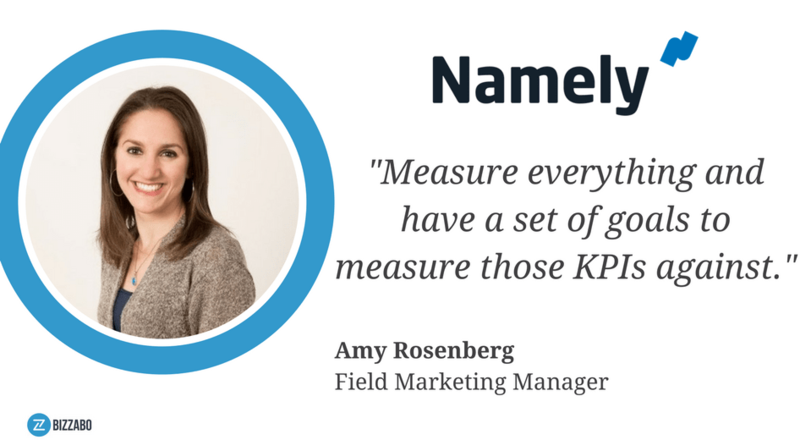 Amy has been with Namely for five years and oversees local demand and regional marketing campaigns, including HR Redefined, the company’s annual user conference. Under her direction, the event has gone from an intimate gathering of Namely software users to an HR industry-wide event. Having worked at Brightcove for nearly a decade, Britta is the director of Brightcove’s annual PLAY user conference. She manages all major aspects of the conference, from design to PR to logistics. As Community Events Manager, Danielle oversees all Moz’s events and sponsorships, including the annual MozCon Conference, which began in 2006. Danielle has help grow the event year over year while maintaining MozCon's core event vision. These three seasoned event experts had a lot to share on their experience as user conference planners. Technology events in general are never easy to put together but with the right advice from the right people, organizing user conference can be well within your capabilities as an event marketer. The following tips are broken down by event planning stage and the best practices that are most relevant to each step in the process. Q: What type of messaging helps to drive event registration? Danielle: “We try to put ourselves in the attendees’ shoes and pinpoint the reasons that prevent them from registering. Sometimes it costs a lot to attend a conference. We have to justify to our attendees that the cost is worth the benefit. We breakdown our ticket sales and make this transparent to our attendees. We want people to know that they’re not paying for our salaries. Instead, everything is being invested back into the attendee experience. Q: What steps do you take to excite and engage event registrants before the event? Amy: “For Namely, the conference really starts months before the actual event. We use our online community called Backstage Pass to provide opportunities for attendees to start getting to know other users, asking questions, suggesting things for the event. In the months leading up to the event, attendees signed up to be session leaders throughout our online community, they got to know who their breakfast buddies would be at the event, and even got to join Hackathon teams since we provide a Hackathon at the event. Q: How do you maximize the experience for sponsors and exhibitors? Danielle: “What’s most important is partnering with the right sponsors from the very beginning. We actually have a limited quantity of sponsors and they’re by invite only. By having a very selective process, this results in sponsorships that are successful for both us and the partner, leading to a long-lasting relationship. Q: How do you choose speakers from your company? Q: How do you think about measuring event ROI and proving value to internal stakeholders? Britta: “I usually prepare a 30 to 40 page document with lots of graphs and visuals, measuring everything just as Amy said. One part of the report records how many of our customers who attended are renewing their contracts next year. So we measure that and then we also measure how many customers who attended last year increased their contractual values year over year. Then we have a report of the prospects who attended, how many people converted and what that conversion rate was. Empathize with the attendee’s decision making process and reduce as much friction as possible during the registration process. Encourage attendee engagement well before the start date to build up momentum going into the event. When it comes to choosing sponsors and speakers, be intentional and selective. Make sure they align with you event vision and it will pay off in the long run. Craving more event wisdom on user conferences? Curious to hear Britta’s creative suggestions on event swag? Or Amy’s tips on creating a more diverse speaker panel? Listen to the complete recording of the webinar by clicking on the image below and gain even deeper insights on how to plan an exceptional SaaS user conference.